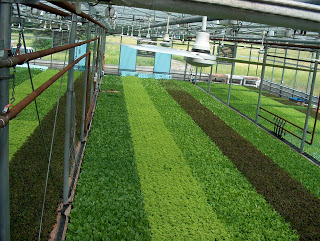 Since lettuce and leafy greens have short production cycles, greenhouse growers need to stay focused if they want to be successful growing these crops year round. The increasing demand for locally-grown vegetables is causing more field vegetable growers, ornamental plant growers and new growers to look at trying to satisfy this market. Cornell University horticulture professor Neil Mattson said he works with all three types of growers. Mattson said ornamental growers tend to better understand what it takes to grow a year-round crop. “Ornamental growers tend to be aware of differences in crops and the problems that can arise,” he said. “They also understand the concept that there is much less light in the winter so they may have to consider using supplemental light. Ornamental growers are usually aware of the high cost of heating a greenhouse year round, especially during the winter. 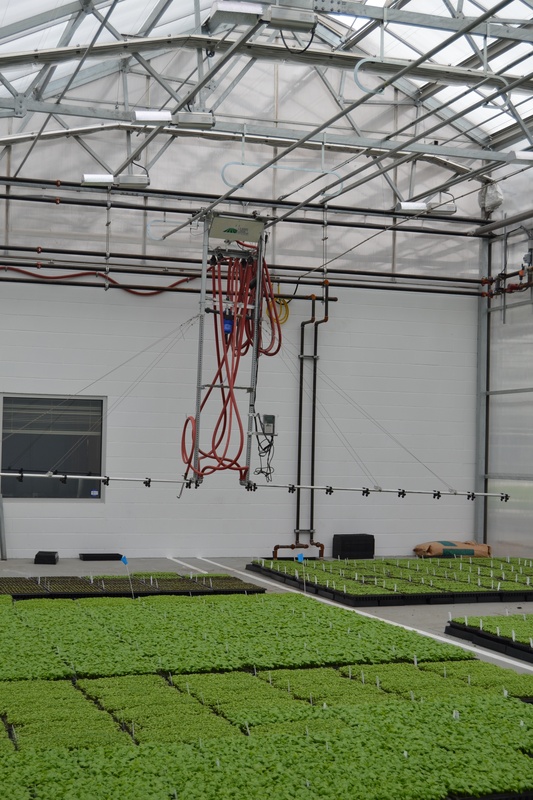 During this year’s Cultivate’16 conference and trade show in Columbus, Ohio, Mattson did a presentation on the year-round production of leafy greens using controlled environment agriculture (CEA). The main environmental conditions growers need to monitor and control include light, temperature and relative humidity. Mattson said in the northern half of the United States light availability during the winter months is the most difficult environmental issue to deal with when growing plants year round. The target light level for lettuce production is 17 moles of light per square meter per day (daily light integral) for optimal growth. Photos courtesy of Neil Mattson, Cornell Univ. Mattson said supplemental light, using LEDs or high pressure sodium lamps (See the Lamps Needed Calculator, can be provided to deliver higher light levels to increase lettuce biomass. But going above 17 mol/m2/d can cause growers to have issues with tip burn. 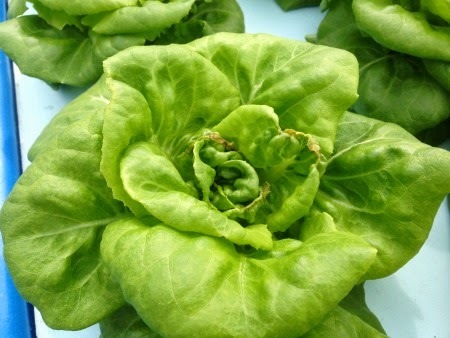 “In the case of head lettuce, a grower can go from seed to harvested head (5-6 ounces) in 35 days if there is 17 mol/m2/d. 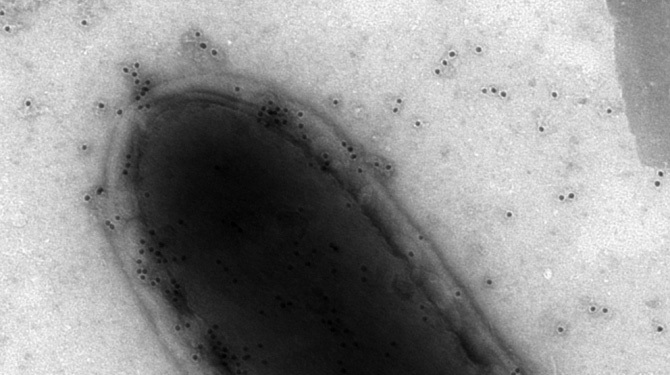 If there is only 8.5 mol/m2/d, it takes the plants twice as long to produce that same biomass. Mattson said a rule of thumb for New York is a grower can light a 1-acre greenhouse and produce the same yields as not lighting a 3-acre greenhouse to produce the same yields during the winter months. Lettuce and many other leafy greens are cold tolerant. Mattson said a lot of growers want to grow them cold. “The Cornell CEA research group proposes that these crops be grown at fairly warm temperatures so that they have the faster 35-day crop cycle,” he said. “This is based on having 17 mol/m2/d and a daily average temperature of 70ºF-75ºF during the day and 65ºF at night. Mattson said temperature can be really hard to control in southern climates in the U.S. Beyond trying to reduce the air temperature, research done by the Cornell CEA group has shown that lowering the root zone temperature to 74ºF or less using chilled water can help prevent premature bolting. Mattson said the biggest issue with warmer air temperatures occurs with lettuce and spinach. Warmer temperature and long day conditions can both cause spinach to experience premature bolting. Mattson said warmer temperatures can also promote Pythium root rot on spinach. Spinach is much more susceptible to this water mold than lettuce or other leafy greens. Cooling the root zone temperature won’t completely avoid Pythium disease, but it will help control it. Close-up view showing Pythium root rot on spinach. 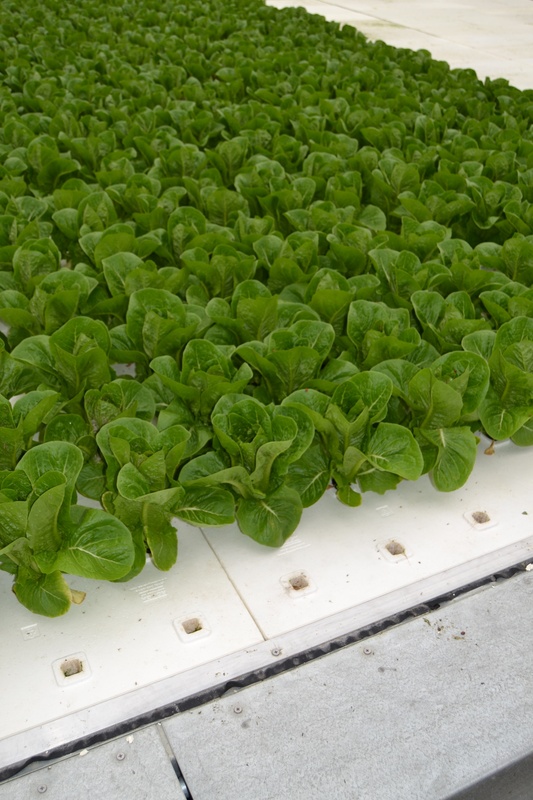 The Cornell CEA group found that the optimum root zone temperature for spinach was 64ºF-65ºF. At this temperature Pythium was deterred, but there was no crop delay. 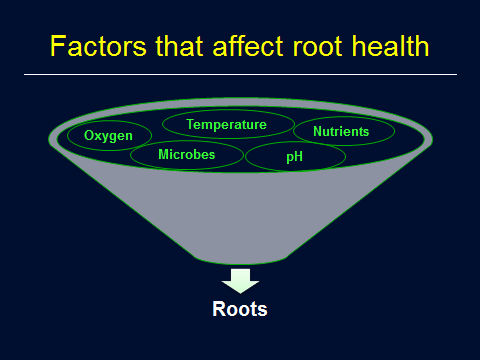 If the root zone temperature is lowered to 62ºF, plant growth is slowed. Mattson said the relative humidity for lettuce and leafy greens should be between 50-70 percent. He said the lower humidity helps to limit pathogen issues. High humidity favors the physiological disorder tip burn, which is caused by a calcium deficiency. Mattson said a relative humidity lower than 50 percent can cause an outer leaf edge burn, which is a physiological disorder. Although fertilization and water quality are not environmental parameters, growers can have issues with both if they don’t monitor them. Lettuce and leafy greens are not particularly heavy feeders compared to other greenhouse vegetables like tomatoes and other vine crops. Mattson said lettuce and leafy greens are relatively forgiving crops when it comes to fertilization. 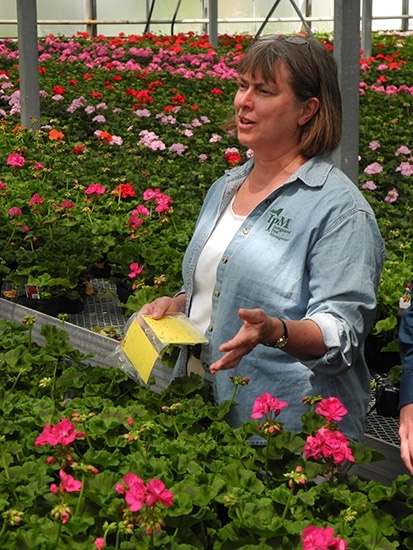 Mattson said for container crops like petunia and geranium, pH does not usually change by more than one unit in a week. He said container growers may check the pH every week, and some may only do it every two weeks. But for hydroponics a grower needs to stay on top of changes in pH. In addition to daily pH and EC monitoring, Mattson said a detailed elemental analysis of the nutrient solution is important. Mattson said some systems, like CropKing’s Fertroller, have automated sensors which measure pH and EC in line so it’s a real time measurement. The controller makes the necessary adjustments. Mattson said iron deficiency due to high pH is the most common nutrient disorder he sees on lettuce and leafy greens. Occasionally magnesium deficiency occurs because the water source contains enough calcium, but not enough magnesium. Iron deficiency due to high pH is usually the most common nutrient disorder on lettuce and leafy greens. Basil tends to have a high need for magnesium and usually should receive twice as much magnesium as lettuce. Mattson said growers should test their water more frequently to determine if there have been any changes in the alkalinity of the water, including calcium, magnesium and sodium concentrations. “In the Northeast this summer, we are experiencing a drought,” he said. “I’ve heard from growers who say the EC of their water is going up, which implies that some salt levels are going up. But we don’t know specifically which salts and that would be useful to know what specifically is changing. 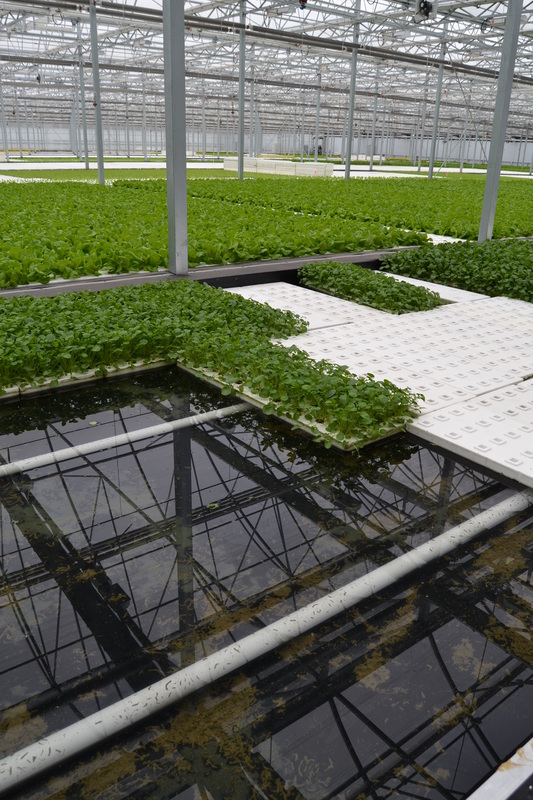 If you missed the e-GRO webinar “Managing Nutrient Solutions for Hydroponic Leafy Greens and Herbs” on Jan. 22, 2016, which was sponsored by Hort Americas, you can still view the webinar on YouTube. 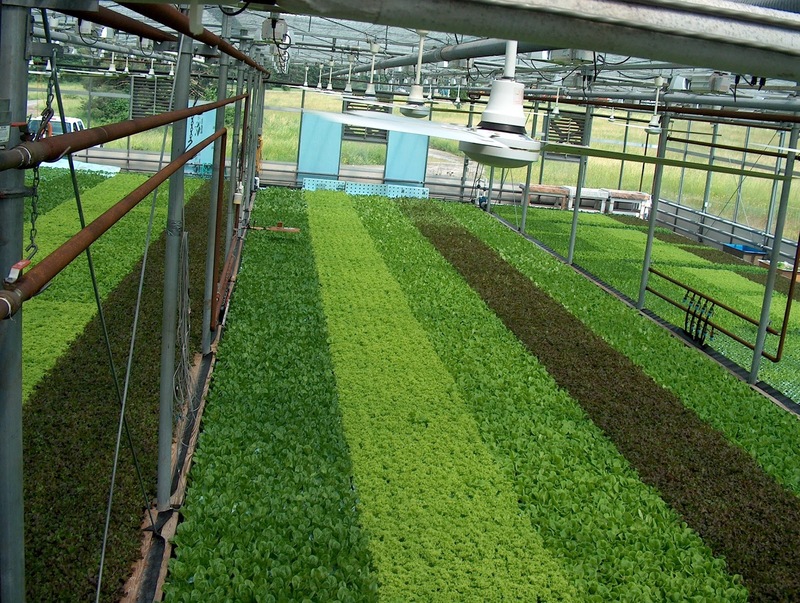 Hydroponic greens and herbs are produced in systems with recirculating nutrient solutions. In order to maintain productive and quality crops, it is important to know how to properly maintain the nutrient solutions. Dr. Chris Currey at Iowa State University and Dr. Neil Mattson at Cornell University discuss strategies for managing pH and EC, formulating nutrient solutions and identifying common nutrient disorders. High tunnels can be a part of a production system that allows growers to produce berries year-round while improving fruit yields and quality. High tunnels have different uses in different places, said Marvin Pritts, professor and chair of the Horticulture Section of Cornell University’s School of Integrative Plant Science in Ithaca, N.Y.
Pritts said growers in the Northeast have been using high tunnels for about 15 years. Pritts said growers of tomatoes, cucumbers and greens have taken the most advantage of using the tunnels. “Growers who produce tomatoes were the first ones who really got into using the high tunnels in a major way,” he said. “That was followed by cucumbers. These tunnels were used for summer vegetable production. During the cooler season there are a lot of greens produced, including spinach, arugula and some other greens that can almost be grown year-round in tunnels. Pritts said in the Northeast most of the crops are being grown for local sales. “The growers supply local grocery stores like Wegmans and farmers markets,” he said. 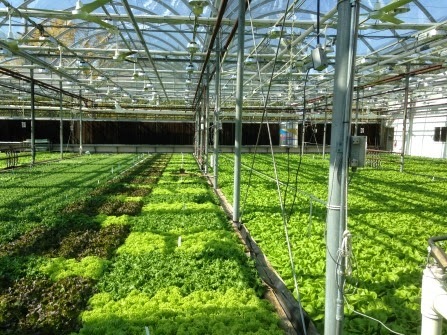 “Wegmans has its own farm where it is using high tunnels to grow various crops for its own stores.” Wegmans Organic Farm in Canadaigua, N.Y., uses high tunnels to grow year-round at the 50-acre operation. Pritts said he expects water restrictions in places like California will cause more growers to look at incorporating high tunnels into their production. Pritts said growers in the Northeast are using high tunnels to harvest red raspberries earlier in the summer and to extend the production into the fall. 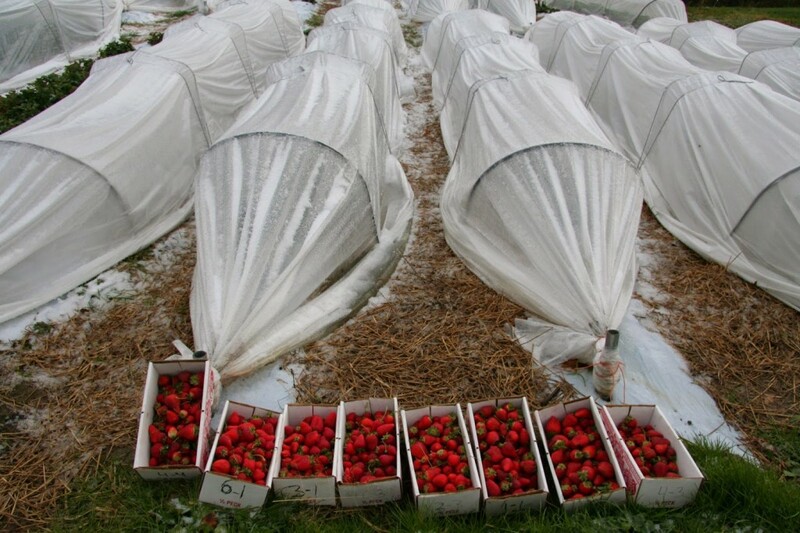 Because the use of tunnels for berry production is a recent development, Pritts doesn’t really know which season the growers are using the tunnels for more. He expects it’s both. Most of the high tunnel research that Pritts has done has been with primocane fall-bearing raspberries. These plants can be mowed down to the ground in the spring and they grow up and flower and fruit in the fall. Pritts said the canes can be pinched so that the plants flower and fruit later into the fall. varieties along with outdoor field and high tunnel production to produce a crop year-round.Photos courtesy of Marvin Pritts, Cornell Univ. Pritts said growers also have the option of growing summer raspberries producing fruit in late June and early July. “Summer production requires more trellising because the canes have to be maintained through the winter,” he said. “If a grower produces summer raspberries, the high tunnels have to be kept up year-round. With fall production, since the canes are cut back, the plastic covering on the tunnels can be removed for the winter. Since the covering is going to be removed, the tunnel structure doesn’t have to be as strong because snow loads aren’t an issue. Pritts said being able to take the plastic off of the tunnels is a real advantage during the winter for the fall raspberries. Pritts said if a grower is producing summer raspberries or blackberries, the plants have to be brought through the winter in a tunnel. Pritts said it should be easier for growers to produce fall-fruiting raspberries. 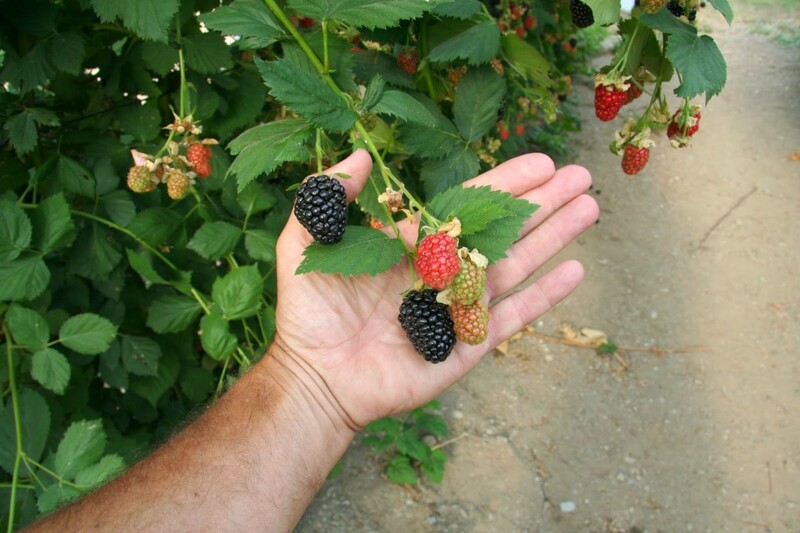 Pritts said a grower could use a combination of fall- and summer-fruiting varieties along with outdoor field and high tunnel production to produce a raspberry crop year-round. Pritts said one of the major reasons growers are producing raspberries in high tunnels is because of the difference in fruit quality. difference in fruit quality, including having a longer shelf life. “Tunnels keep rain off of the fruit so that it doesn’t get moldy as fast as field-grown berries,” he said. “The quality is like day and night between raspberries grown in high tunnels and those grown in the field. Tunnel raspberries definitely have a much longer shelf life. Pritts said field-produced raspberries generally have a 10-year life span for the field they are being grown in. Pritts said high tunnel plants aren’t exposed to the same environmental stress plants encounter in the field. Another benefit of the high tunnels is wind exclusion. Since the plants grown in tunnels aren’t exposed to the rain, drip irrigation is used to water the plants. “Irrigation in the tunnels is between the plant rows,” Pritts said. “Outside when it rains the weed seeds germinate. In the tunnels there’s not much weed pressure at all. Pritts said raspberry growers who use tunnels have to closely monitor plants for two-spotted spider mite. Horticulture Section, Ithaca, NY 14853; (607) 255-1778; mpp3@cornell.edu. Marvin Pritts, professor and chair of the Horticulture Section of Cornell University’s School of Integrative Plant Science is also doing a study on the production of strawberries in low tunnels. He is growing day neutral strawberries, which flower and fruit nearly all summer into the fall, in low tunnels. than in a high tunnel. Pritts said the plastic film helps to keep the temperatures lower during the summer. The covered tunnels also retain some heat during the fall. Pritts said it is about four times cheaper on a per area basis to use a low tunnel than it is to use a high tunnel because a tall hoop structure isn’t required. 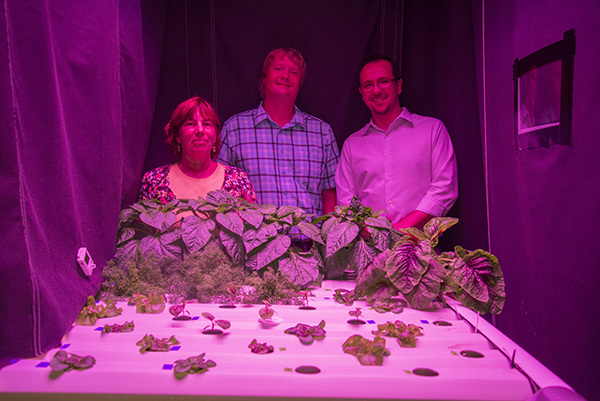 hydroponic crop for ornamental plant growers looking to give edibles a try. in troughs or a float system (pictured). be finished in four to six weeks depending on light and temperature levels. until plants reach suitable size. transport enough calcium to the young leaves. compatible with most complete fertilizers. calcium from calcium nitrate should be sufficient. a 75-100 day release period. is to monitor the electrical conductivity (EC) and pH levels. lower leaves caused by nitrogen deficiency. over the course of a week by maybe one unit. shouldn’t have any effect on the length of production. the lettuce heads may not reach full size. intensity are at optimum levels. trying to operate under severe water restrictions. California. Bill Phillimore, executive vice president at Paramount Farming Co.
handling of water and power issues. effects drought can have on an agricultural producer. to continue producing its crops during the drought. of production does your company have in California this year? a combination of citrus, almonds, pistachios and pomegranates. has your company taken out of production because of the drought? applying less irrigation water than we would optimally prefer. groundwater which is being particularly heavily used in 2014.
irrigation methods prior to the occurrence of the severe drought conditions? practical systems some years ago. without having a negative impact on the plants? not currently easy to assess either the long or short term effects. these crops and what is unique about the conditions under which they are grown? 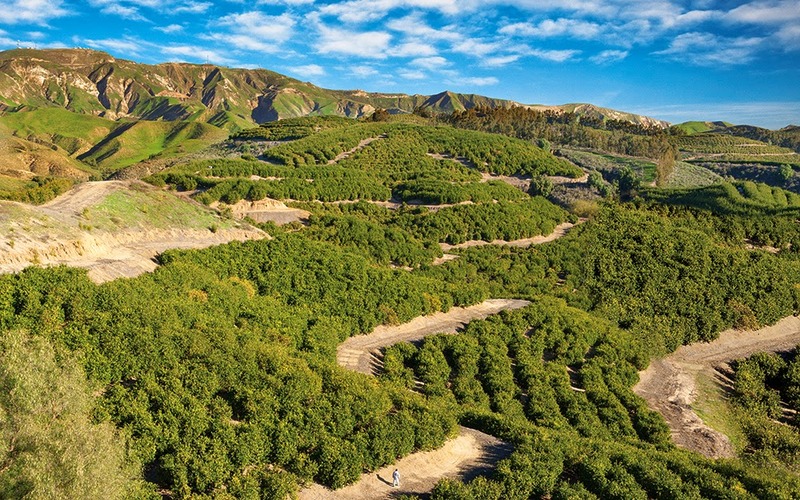 production of pistachios, almonds, table grapes, carrots and citrus. what this plan is about? avoiding any negative effects on the plants or their yields. how you would like to see these groups become more involved with water-related issues? members, especially when the organizations are covering a broad range of issues. Paramount Farming Co., (661) 399-4456; http://www.paramountfarming.com. the website’s developers with its Extension Educational Materials Award. specialist at Cornell Cooperative Extension of Suffolk County. creating the e-GRO Alert newsletter. The newsletter is funded by the American Floral Endowment. Virginia Cooperative Extension specialist for greenhouse crops Joyce Latimer. outreach specialist at Michigan State University. management, nutrition management, growth management, insects and mites, and diseases. e-GRO University has been funded by the Gloeckner Foundation for two years. 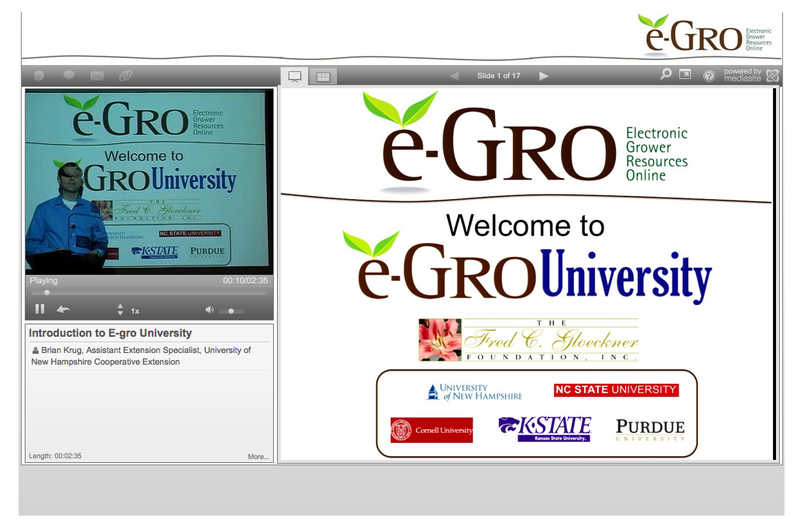 certificate program for e-GRO University. experience in different aspects of growing. problems. Ray Cloyd will discuss key insect identification and control issues. e-GRO enables growers to search for the episodes they want to view. Latimer at Virginia Tech and Brian Whipker at North Carolina State University. scientific journals and trade publications. Brian Krug, (603) 862-0155; brian.krug@unh.edu. 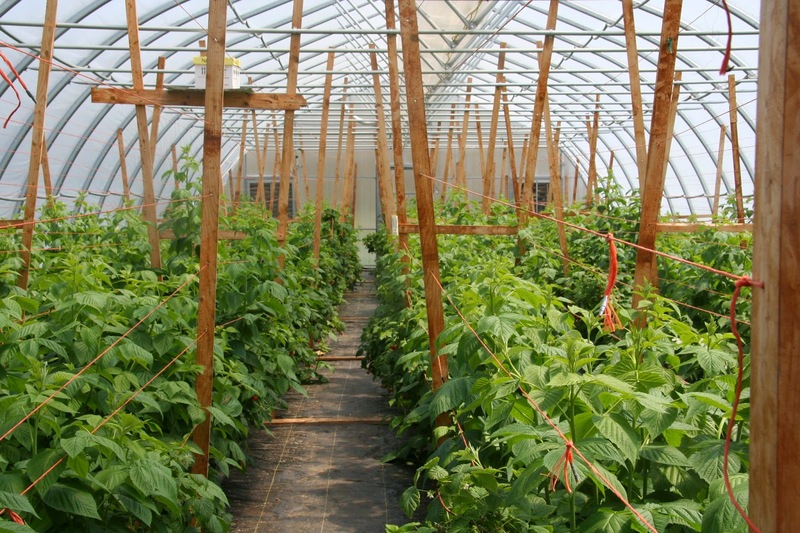 Why you should consider lighting greenhouse vegetable crops. Can’t decide if it would be worth installing supplemental lights for your greenhouse vegetables? A combination of supplemental light and carbon dioxide can ensure that you are maximizing plant growth. Melissa Brechner, director of the Controlled Environment Agriculture Center for Technology Transfer at Cornell University, usually tells greenhouse vegetable growers that supplemental lighting is worth the investment. 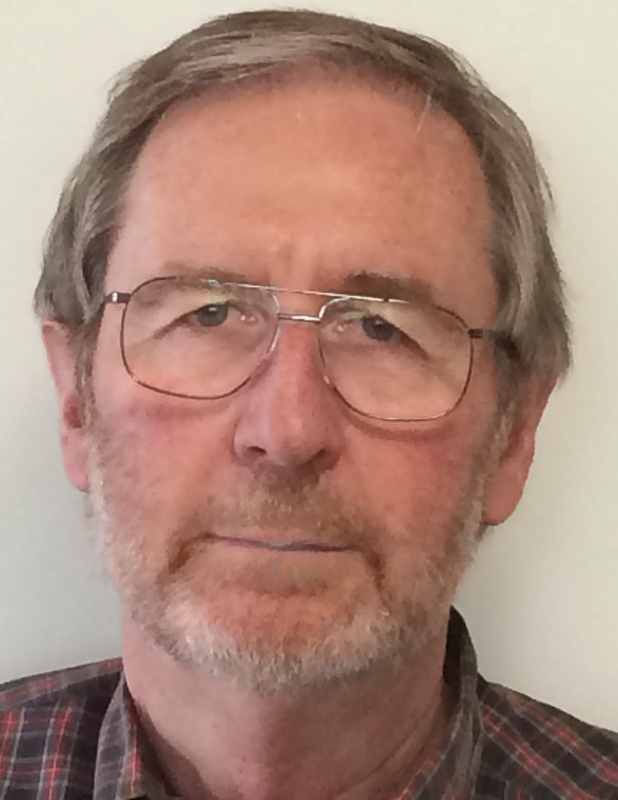 Brechner said a greenhouse vegetable grower is going to need a minimum of 15 moles of photosynthetically active radiation (PAR) per day in order to produce a crop. “For Ithaca, N.Y., and for many other places, the light levels range from a high of 15 moles per day in January up to about 65 moles per day in July,” she said. “Those levels are not going to change drastically whether a grower is in Arizona or in Ithaca. What is going to change is that in Arizona there aren’t the really dark 0 and 1 mole days that occur in Ithaca. Although greenhouse vegetable growers associate more problems with low light levels, Brechner said high light levels can also cause problems with some crops. 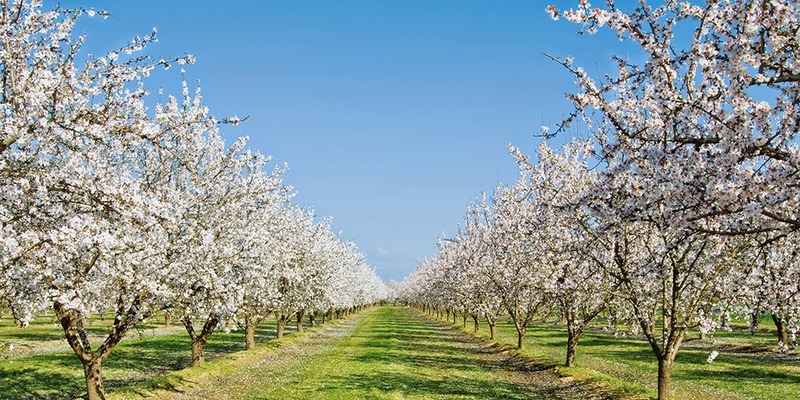 “Growers can have problems with both high and low light levels depending on the season in which the grower is trying to grow and where in the country he is located,” she said. “If a greenhouse lettuce grower is trying to grow in Georgia in August or even October, he is going to have a problem with too much light. The grower better have a shade curtain in the greenhouse or he is going to have tip burn problems. 5. type of light (direct or indirect). <style=”text-align: center;”>A greenhouse vegetable grower is going to need a minimum of 15 moles of photosynthetically active radiation (PAR) per square meter per day in order to produce a crop. Brechner said that growth is directly correlated to the amount of light the plants receive, especially when they are in a vegetative state. “I think lettuce is a less forgiving crop. Tomatoes and cucumbers if you don’t give them as much light they will still grow,” she said.“Lettuce should have 17 moles of PAR per square meter per day. This refers to the combination of natural light that is transmitted through the glazing as well as any artificial light that is used. Our research has shown that an average of 17 moles gives optimal growth while minimizing tip burn. Brechner said there are some differences in the amount of light that different types of lettuce will tolerate. 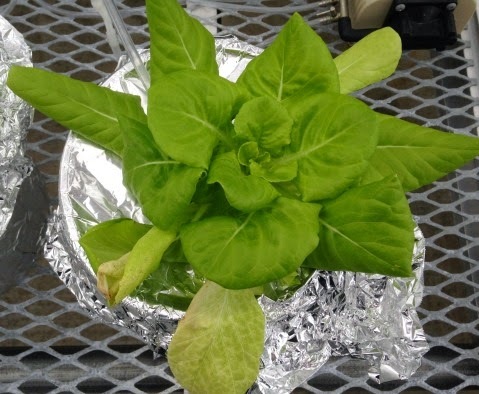 “We’ve found for Boston (bibb) lettuce that a daily light integral of 17 moles of light per day used with vertical airflow to increase the rate of transpiration in order to increase calcium uptake prevents leaf tip burn,” she said. “Romaine lettuce can’t take as much light before it gets tip burn. And it certainly can’t take as much light without having vertical airflow. Greenhouse vegetable growers can have problems with both high and low light levels depending on the season and where in the country an operation is located. Cornell researchers have developed a light control algorithm that controls for daily light integrals. It’s called LASSI (Light and Shade System Implementation). The software interfaces with the greenhouse environmental control computer to turn on the supplemental lighting or to pull the shade curtains. “Every hour of the day LASSI goes through a series of rules and makes the decision to turn the lights on or to pull the shade,” Brechner said. “It seeks to optimize the use of off-peak power. Most greenhouse operations have off-peak power rates which are usually from 11 p.m. until 5-6 a.m. The power at that time is significantly cheaper. Brechner said growers have the option of using supplementing carbon dioxide to substitute for a certain amount of light. Table 1. Cost of supplemental lighting with and without the use of supplemental carbon dioxide. the original LASSI and CO2 LASSI, which take into account whether it’s cheaper for a grower to supplement with carbon dioxide or with light. 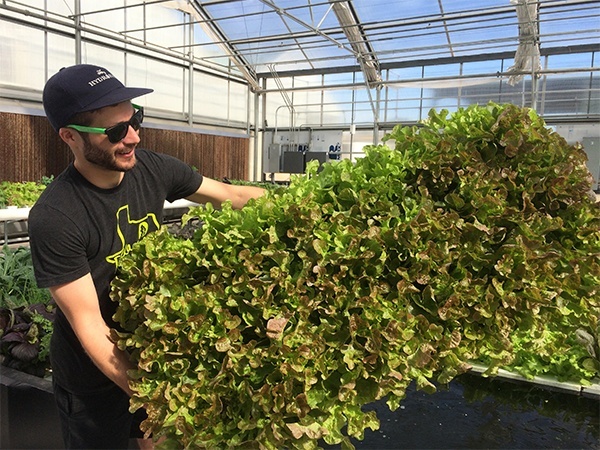 Research at Cornell University has shown that an average of 17 moles of PAR per square meter per day gives optimal growth of lettuce while minimizing tip burn. Melissa Brechner, Cornell University, Controlled Environment Agriculture Center for Technology Transfer; (607) 255-8146; mlk38@cornell.edu; http://www.cornellcea.com.